The institute is testing its findings at "Versuchsstelle Kummerdorf-Ost"
Dornberger and his team (e.g. 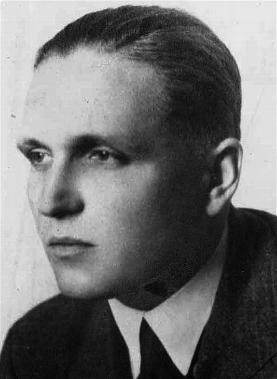 Wernher von Braun) worked at "Versuchsstelle Kummersdorf-West"
It is not exactly known what kind of connections Thiel had with the Nazis. But it is likely that he was loyal and in line. The private archive of Family Thiel has a photo showing Thiel wearing a party-badge. That may support the suggestion that he was loyal to the system. It is not known when exactly Walter Thiel became member of the NSDAP, as his NSDAP membership card could not be found in the Federal Archive in Berlin. Presumably, he joined the NSDAP in 1940 at the latest. In addition, the archive could confirm that he was definitely not a member of the SS.